Established in 1989, Telemadrid is an autonomous public television station of Madrid, Spain, covering the life and news of the city, along with sports, movies, and original programming. 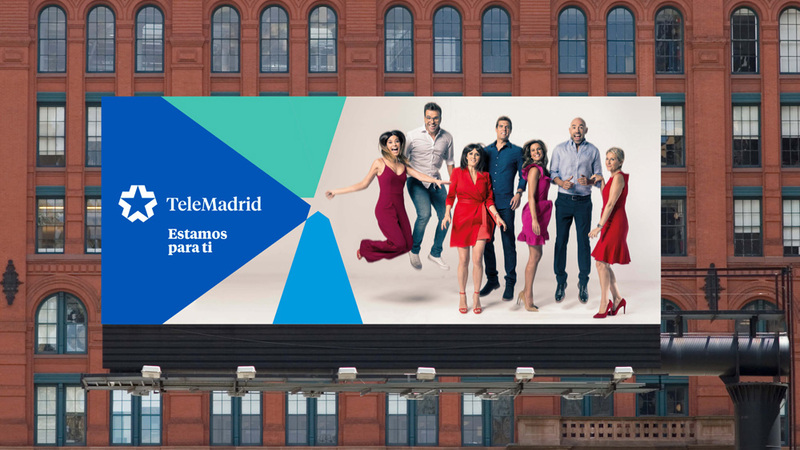 Telemadrid is part of Radio Televisión Madrid, which also broadcasts La Otra (“The Other”), launched in 2001 as a sister channel, and Onda Madrid (“Madrid Wave”), a radio channel. 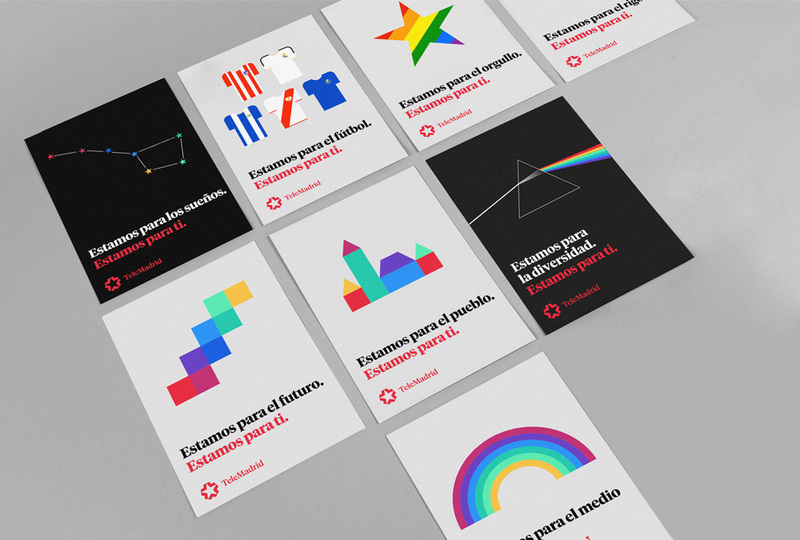 Recently, Telemadrid and all accompanying entities introduced a new identity designed by the Barcelona office of Mucho and motion graphics by Cómodo Screen. In the new visual language, the three brands within the group all have the star in common, but each one has it own personality. 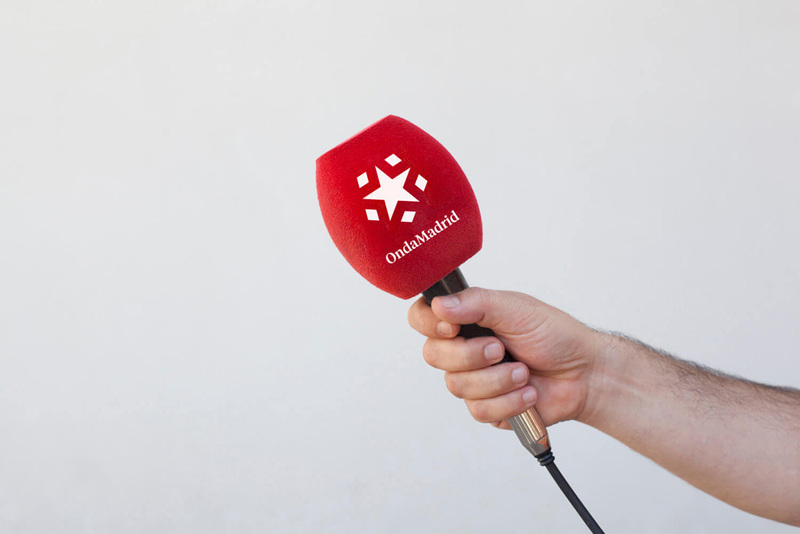 The one for TeleMadrid brings the people of Madrid together (the arrows point to the centre). 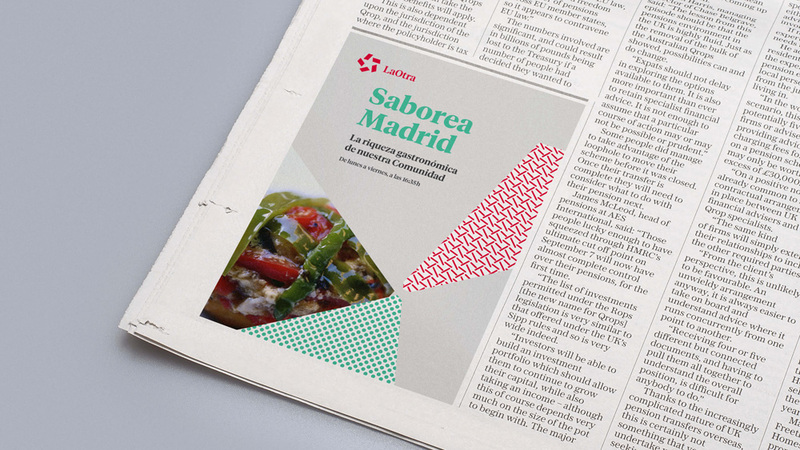 The star of LaOtra reflects its young and dynamic nature. OndaMadrid is expansive and spreads out (like pulsing waves). As each has its own symbol they also work perfectly as the on-screen watermark logos. All logos, before and after. Animating from one star to the other. The evolution of the star is subtle — keeping the equity of the original and appeasing any change-averse segment of the audience — but it yields a much more interesting silhouette for the icon in the style of 1950s - 60s corporate identity. The move to three different stars for each of the channels is relatively daring in that the organizations risks losing that instant connection that easily existed before but it’s commendable they adopted it and I think it makes the family of channels more engaging by each having a distinct expression but unified by a single color and improved typography. The old wordmarks were like really lame rave flyer typography and didn’t quite hint at the gravitas of the channels. The new wordmarks, set in Klim Type Foundry’s Tiempos are stately, elegant, and still manage a contemporary feel. The animations between the three logos are probably never going to be seen by the audience but for a bunch of designers, staring at their screens, they are pretty fun to look at. They also probably helped convince the client that there was synergy between the three different stars. The few applications shown are decent… a little shy and tame but probably just a case of most of these being proof of concept. 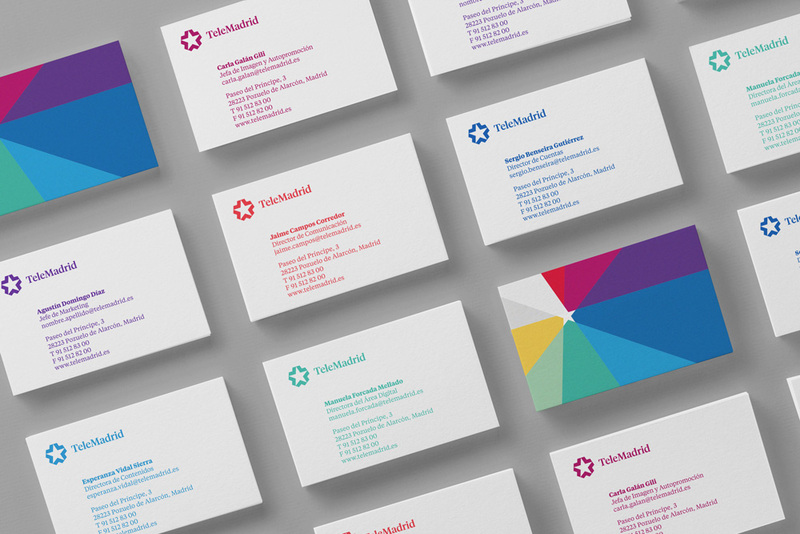 The business cards do look quite nice, especially with the full star graphic in the back. The outdoor ads also show the potential of the star graphic to serve as a flexible device to frame content and text while adding strong bands of color that would make the ads hard to ignore. The La Otra materials work within the same structure but add patterns into the mix for a more extroverted look. It works nicely in motion (as you’ll see at the end) but maybe too much of a good thing in print. Logo idents and a showcase of all the audio branding by Banjo Music. The on-air graphics are pretty great. I love that it’s all flat colors and graphics all animated along the axis-es (axi?) of the star, while Tiempos makes everything look important. The logo sounds are fun and charming, adding an important element of recognition to the channel. 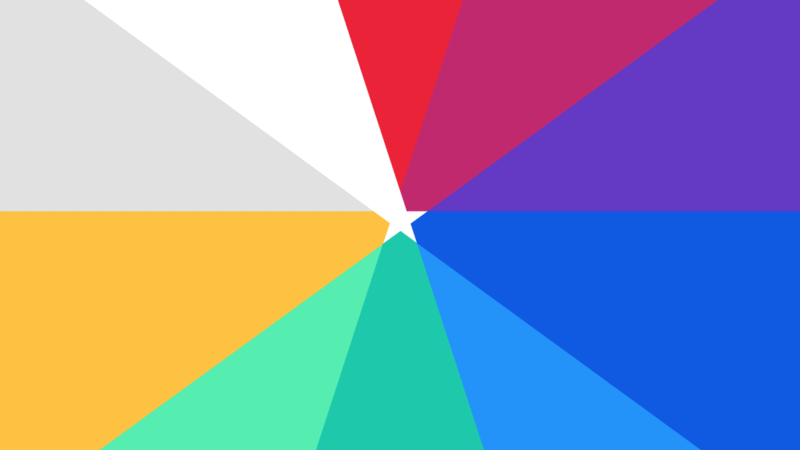 Overall, a great update that gives the channels an authoritative but playful personality. Established in 1989, Telemadrid is an autonomous public television station of Madrid, Spain, covering the life and news of the city, along with sports, movies, and original programming. Telemadrid is part of Radio Televisión Madrid, which also broadcasts La Otra (\"The Other\"), launched in 2001 as a sister channel, and Onda Madrid (\"Madrid Wave\"), a radio channel. 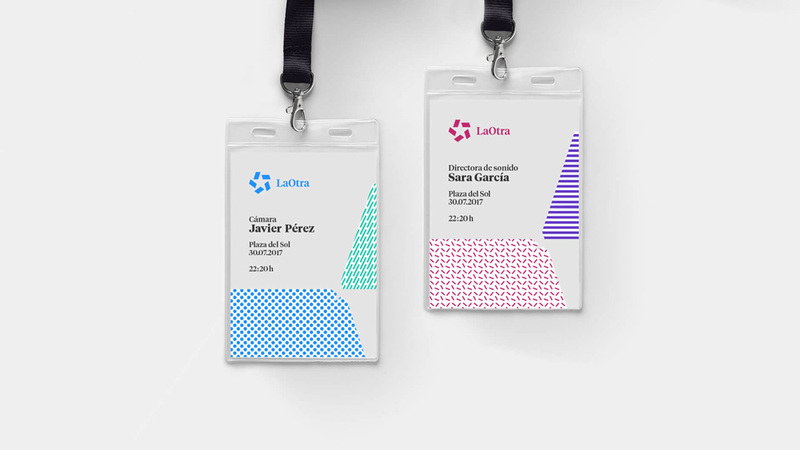 Recently, Telemadrid and all accompanying entities introduced a new identity designed by the Barcelona office of Mucho and motion graphics by Cómodo Screen.